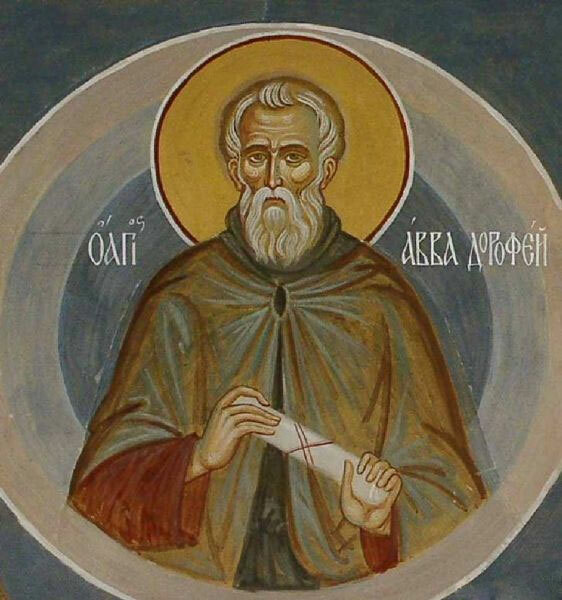 Saint Dorotheus, Egyptian Hermit, a native of the Thebaid region in Egypt, labored in asceticism for 60 years in the Skete desert, on the Western side of the River Nile. Palladius, Bishop of Helenopolis and author of the renowned LAUSIAC HISTORY, had been a disciple of St Dorotheus in his youth, and has preserved memories of him. St Dorotheus led a austere and ascetic life. After finishing his prayers, he went into the noonday heat to gather stones along the seashore to build cells for the other hermits. By night the saint wove baskets, in exchange for which he received the supplies he needed in order to live. Food for St Dorotheus consisted of bread and the meager grass in the wilderness. Once a day he partook of food and drank a little water. He did not lie down to sleep, but only dozed off sometimes at work, or after eating. Once, St Dorotheus sent his disciple to fetch water, but he returned saying that he saw a snake in the well and that the water in the well was now poisoned. St Dorotheus went to the well himself, took up a ladle of water, and making the Sign of the Cross over it he drank it, saying: "Where the Cross is, there the demonic powers do no harm." St Dorotheus died peacefully at an advanced age.